RUBBYTAD Group unveils Smart Meter Tech On a world-wide basis, both domestic and commercial consumers are faced with the ever-rising cost of electricity, water and gas ; commodities essential in the support of our frenetic modern life-styles. At one and the same time, utility supply companies wrestle daily with the problems of ever-increasing consumer demand and the consequent need for infrastructural enhancement, as well as the high cost of grid maintenance. Add in the often fraudulent abuse by an ever-increasing number of consumers of the very commodities supplied and the issues of managing these obvious problems becomes ever more daunting. Thus said, ensuring revenue collection and protecting every cent of income so derived is essential to providing service and maximizing the bottom line profit. Utilities meters have evolved over the past decades from simple electro-magnetic measuring devices through automated meter reading instruments to “smart” meters. Similar meters, usually referred to as interval or time-of-use meters, have existed for years, but "Smart” Meters involve real-time or near real-time sensors, power outage notification, and power quality monitoring. These additional features offer more than the simple, previous generation, automated meter reading technological systems [AMR]. ensuring accuracy and integrity of data relayed bi-directionally between meter and back-end control centre. The meters can be switched remotely from credit to pre-paid function and vice-versa. In pre-paid mode, the hardware and it’s vending support system is certified by the STS Association. 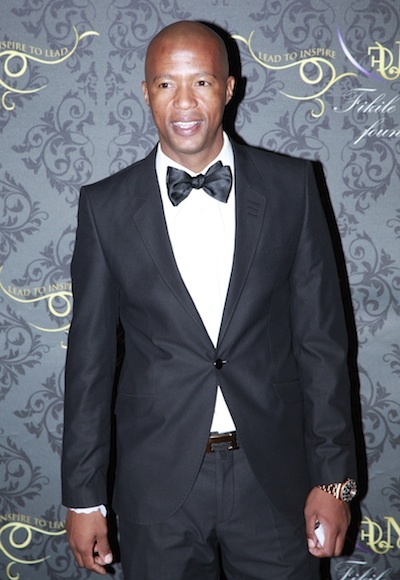 In 2005, having provided manual meter reading services to utilities for a period in excess of 6 years, Reuben Sekwele the Chief Executive Officer of Rubbytad Group - being aware of global technological advancement - sought to bring “state of the art” metering to the South African marketplace. As principal of the Rubbytad Group of Companies, Reuben Sekwele signed a . . . 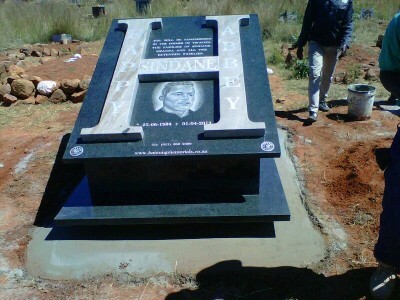 Happy Sindane laid to rest in style Bataung donates a memorial tombstone worth R70 000 for Happy Sindane, The initial stone was supposed to be for R30 000 but the Life happy lived deserved a better send off and the CEo Lebohang Khitsane raised the stakes and decided that the gift has to be bigger, more stylish and of a new design. It took almost a day to manufacture the new tombstone in our Katlehong factory in the east of Johannesburg, the pressure was on since the family approval was only received on Thursday afternoon. Our deadline was tight, the team worked overtime to ensure that the tombstone was installed before the 10am funeral in Tweefontein cemetery in Mpumalanga on Saturday 6th April 2013. The tragedy of happy Sindane has truly touched the Bataung Memorials family and we will be donating a tombstone free of charge to the Sindane family. This is a tragedy for the Sindane family, in their time of mourning our prayers are with them. Lebohang Khitsane owner and founder said “This our little way as Bataung Memorial of trying to ease the pain of the family and console them with a dignified memorial tombstone to remember Happy by.” Contact details: Lebohang Khitsane 083 522 1931 sales@bataungmemorials.co.za URL: http://www.bataungmemorials.co.za Twitter: https://twitter.com/iksouthafrica Facebook: YouTube: http://www.youtube.com/user/MrMukansi11 Author: lebo mukansi from Inventors Kitchen Brand Strategy Agency. Originally distributed by MyPR.co.za. No of Images Uploaded: One To gain access to One image/s please Like, Tweet or +1 this article: [l2g] Images: [/l2g] . . .
Understanding Brands 101 There are a plethora of definitions around what brands are? Here’s a simple argument. In olden days, farmers would mark their cattle for identification of their animals. But this mark was not purely used as a physical mark of identification, it also communicated the ownership as well as the quality of the animal. The brand is not just a physical marker, it implies more than what is visible. If the above is still marketing gobble-gook…here’s a simpler version. Joe is a good farmer he marks his cow with a J logo, this means: 1. Its Joe’s cow, 2. It also means its the best cow for steaks & 3. It also represents how people feel about Joe, so his behavior impacts on the Brand. This is how brands work, they have physical aspects(product, identity & logo) and inferred value based on the owner/organisational values and behavior. Why are Brands important? Brands are important because in the modern economy many Joes have many excellent cows( products, services etc) as well as similar abilities and budgets to market their cows. So what sets one Joe’s cow from another Joe’s cow….Brands because Brands build meaning! How to Build brands If products and services can be copied, how do you set your Brand apart? Simple “Do Good” and Be human-centric. ”Good Branding” uses marketing and brand communications to clearly articulate brands and their products effectively but not just through broadcast media or advertising media. Our brand philosophy is quite simple: Good - The power of brands is bigger than the ability to draw sales, Brands are powerful influencers of societal norms and should be used toward social Good. Branding - Or Brand building is a process of distilling the individual “Reason to Exist” of the business or organisation and ensuring that every single action taken, resonates and communicates the “Reason to Exist”. #GoodBranding doesn’t happen in a vacuum, it requires that the organisation embrace new ideas of . . . Impossible is nothing," it seems impossible until it is done" These are the words of Lebohang khitsane. In just 14 days he managed to arrange close to R800000-00 of funding to assist 7 bright but underprivileged matriculants from Katlehong. Bursaries, Laptops, smart phones, modems and return flight tickets for the UCT students were also arranged with the help of friends, the Ekurhuleni govt and business associates. A further R70000 was raised to act primarily as a monthly stipend, that will be paid in tranches of R1000 per month per students. The event held at the generous Birchwood Hotel this past Friday, was after all in aid of seven top achieving matriculants from the Katlehong. In attendenance, well-wishers, ekurhuleni representatives, leading local businessmen, academic leaders, parents and the generally proud community of Katlehong. Keeping the attendees enthralled was Kaya FM’s day time radio show host Thabo T-Bos Mokwele, a generous man himself having donated some funds towards the pocket money of two of the three Cape Town based students. Four thought provoking speeches by international award winning Mpho Lakaje from the E-News Channel, ENCA. Mpho hosts the inspirational show titled Against All Odds. The guest speakers imparted a wealth of inspirational words directed at the seven students but impacting on all those that attended. This was made possible by the working together of Bataung Granite Holdings, Saville Consulting International, Smartcom, Bidal Attorneys at law, Mbuyela Holdings, stockvel Voice,Black Key,Thabo Mokwele & Birchwood Hotel who contributed to the success of the fundraiser. by Lebo Mukansi URL: http://www.inventorskitchen.co.za Twitter: https://twitter.com/IKsouthafrica Facebook: YouTube: Author: Lebo Mukansi from inventors Kitchen. Originally distributed by MyPR.co.za. . . .
"I didn't have money to study further" how many times have we heard that. its almost a cliche. These young people decided they wouldn't become a cliche and they are now on the way to starting their academic lives. This is their story. Imagine seven young people who have just matriculated and obtained six distinctions respectively, arrive at your doorstep with the news that despite their distinctions they will not be able to attend university because of financial constraints. 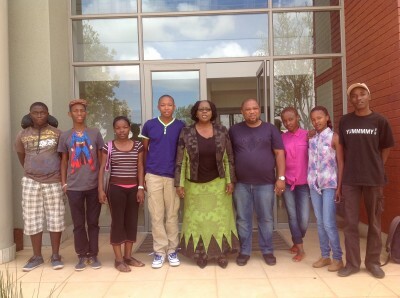 All seven of them come from disadvantaged households in the Katlehong area in the east of Gauteng, but they have worked hard and have earned a place at some of South Africa’s prestigious Universities: 2 have been accepted at University of Cape Town, 4 at Wits University and the 1 at University of Pretoria. As luck would have they knocked at the right door. They knocked at the door of Lebohang Khitsane, a young businessman based in katlehong, popularly known for his charitable work in his community and his stint on the inaugural Big Break Legacy TV show. This is South Africa, big hearts lurk everywhere and anything is possible! Lebohang has managed to arrange bursaries for all seven students to study fields like actuarial sciences, medicine and Engineering. The bursaries were provided by the City of Ekurhuleni. Lebohang reached out to his network of friends and they have succeeded to kick start the dreams of these young people. To date accommodation for 3 of the Wits students has been paid for. But we still need to complete the job and ensure all of them have accommodation and financial support they will need to complete their degrees. Lebohang said “As an organization that works within the community, we have a social obligation and responsibility to contribute towards its development and progress by nurturing young leaders, however, we cannot do it alone and therefore appeal to you to assist us in this endeavor.” A cocktail event will be held on the 25th January at the Birchwood . . .